Illimat is in the Wild! 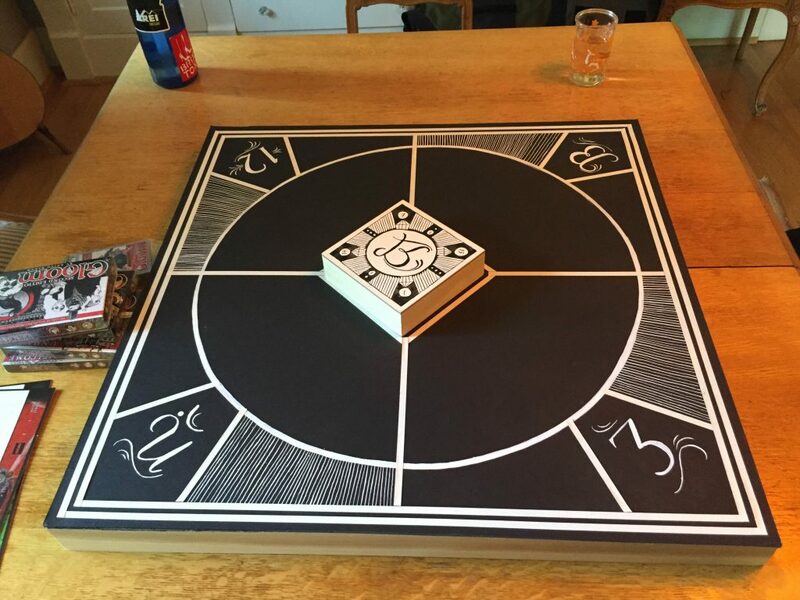 In 2015 Colin Meloy and Chris Funk presented me with a mysterious board with a small box in the center. Could you make this into a game? Something that feels like it could be a hundred years old and just forgotten — something you might find in the back of your grandfather’s attic? It was a crazy challenge, and the board sat in my basement for a few months while I thought about what sort of game it wanted to be. I playtested my first prototype with my father almost exactly two years ago today. And now that game is a reality. 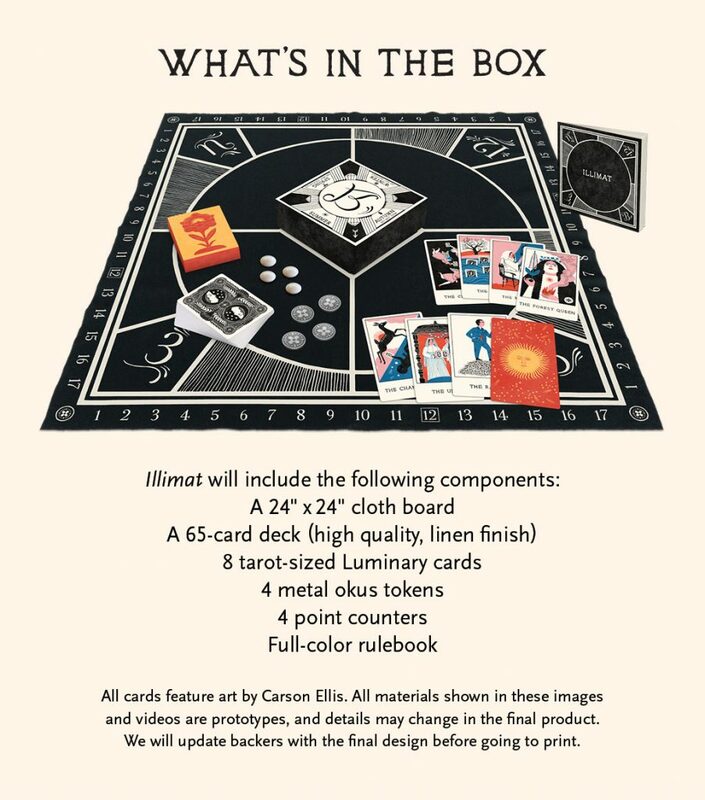 You can get Illimat at Illimat.com or at The Decemberists website, and you can check to see if it’s available at your FLGS; if you’re in the Pacific Northwest, I know it’s currently available at Mox Boarding House and Guardian Games. 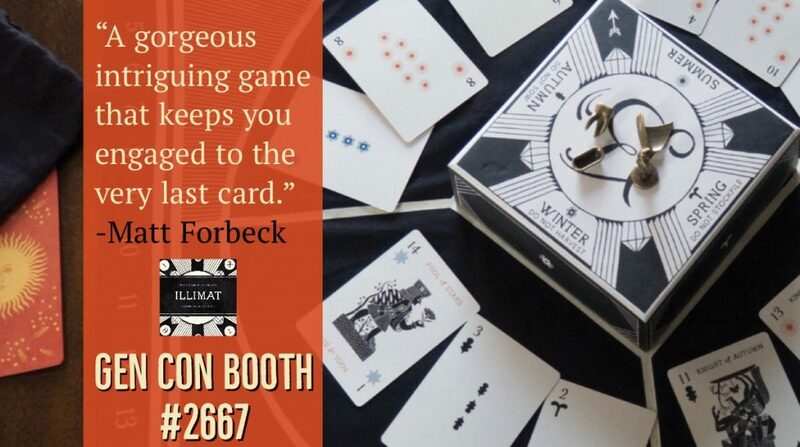 Illimat is built on the foundation of classic card games, such as Gin, Cassino, and Scopa. 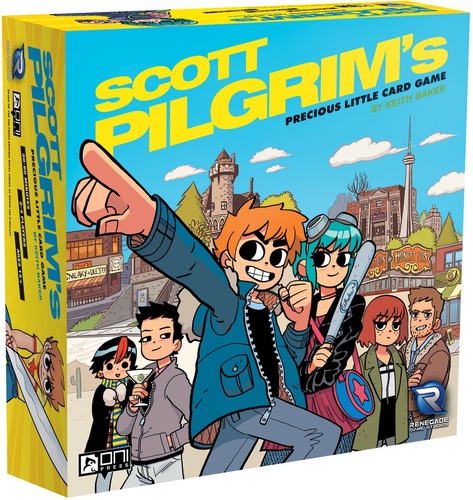 It’s about creating and collecting sets of cards, and if you’ve played any traditional card game you’ll pick up the basics quickly. But there’s a twist! 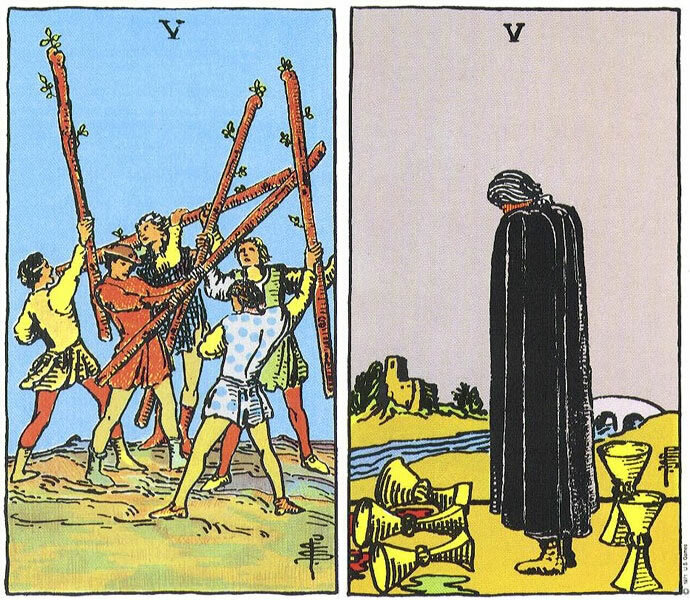 The box is placed in the center of the board, and it sets the season for each of the four fields… and that in turn limits the actions you can take in a field. So you can do anything in summer, but you cannot harvest (collect) cards in Winter; you cannot stockpile (combine) cards in Spring; and you can’t sow (discard) in Autumn. When you play a face card you change the season to match that card, so when I harvest with the King of Summer, it becomes Summer in that field. This adds a dynamic element, as every turn of the Illimat changes what’s possible… and it’s extremely satisfying when you can block an opponent’s play by turning the Illimat to Winter. 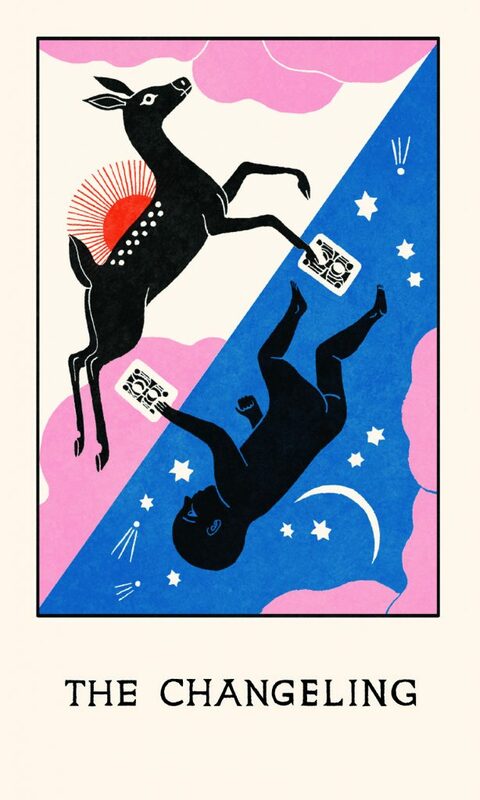 A second twist comes in the form of the Luminaries, Tarot-sized cards that are dealt into the corners of the board. When a field is cleared, the Luminary in that corner is revealed… and every Luminary has a unique ability that affects the rules of the game. Like the Illimat, this is a dynamic element that keeps each game fresh. 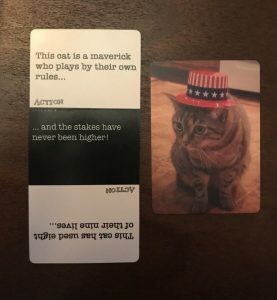 I’m proud of Illimat, and I hope you’ll check it out! A special thanks to all the Kickstarter backers who made it possible for us to create it. If you have any questions or comments, share them below. 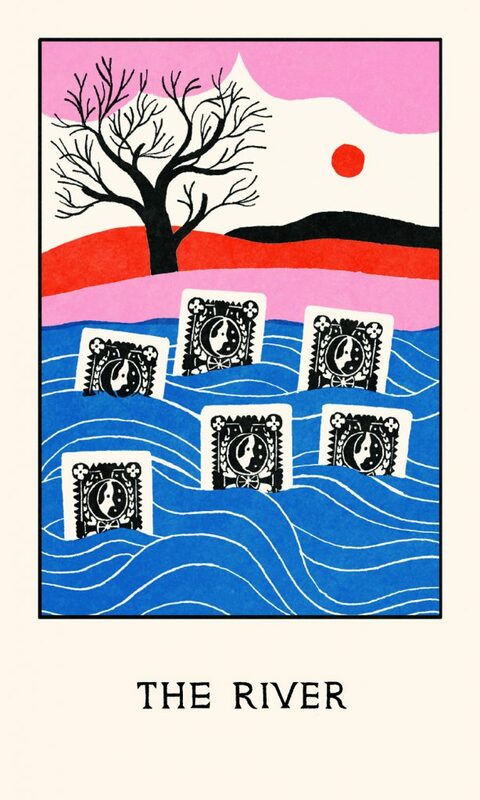 The Luminaries are cards in Illimat that depict iconic characters and things — The Changeling, The Forest Queen, The River — and generally have the flavor of tarot cards. 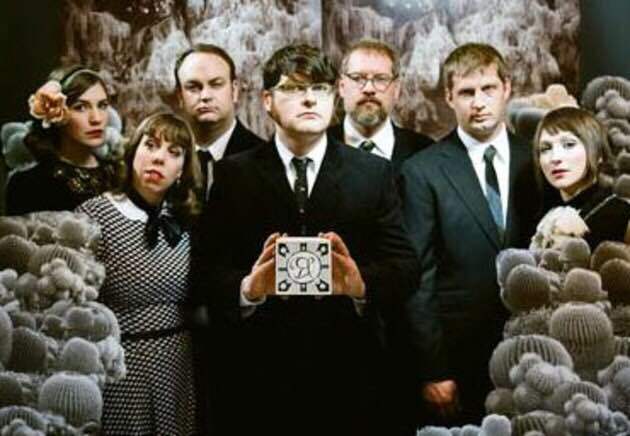 Are the tales of the Luminaries contained in the Decemberists’ songs? Or will they be? Yes. The Luminaries included in the core Illimat set represent characters and themes from the Decemberists album The Hazards of Love. The expansion includes Luminaries inspired by The Crane Wife. If you were to bring Illimat into Eberron, as a game played like Conqueror or Three Dragon Ante, what would you alter? Would Luminaries be kept as they are as tales passed from Thelanis, or would you change them to signifiers like Galifar monarchs or legendary figures from the past? For anyone who doesn’t understand the question, Eberron is a fantasy world I created for Dungeons & Dragons. Personally, I think it’s easy to ground the existing Luminaries in the setting. I’d establish the basic story of The Hazards of Love as a tale tied to Thelanis, and as such, something that could play into a campaign. The Forest Queen is an archfey who rules an endless taiga in Thelanis. She took The Changeling as a child, but The Maiden wandered through a manifest zone into Thelanis and she and the Changeling fell in love. The Forest Queen called on The Rake to deal with the Maiden, but with a little help from The River and the Rake’s murdered Children the Changeling manages to rescue the Maiden, and they all drown happily leaving only The Newborn behind. Once I’ve established the tale in the campaign and people have played some Illimat, I’d introduce the Forest Queen as an archfey who could be a patron, enemy or both… and the Rake as a potential foe. Depending on the power level of the players and the role I want him to play, the Rake could be a powerful fey; a full archfey in his own right; or perhaps a human warlock/rogue who’s made bargains with a range of dark powers in order to satiate his desires. Given the whole idea of the powers of Thelanis as figures known from story, it would be a fun way to have players learn the story and then encounter these spirits in the world. 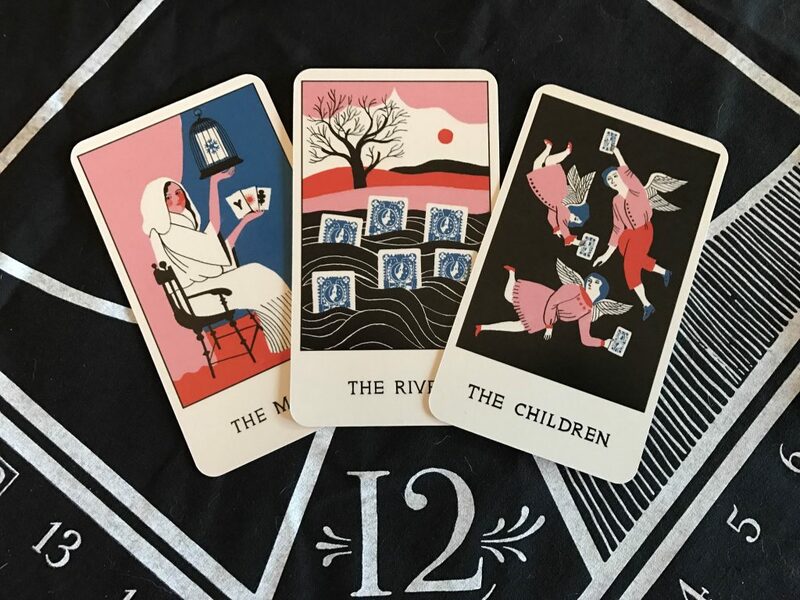 Any more questions about Illimat? Ask below! 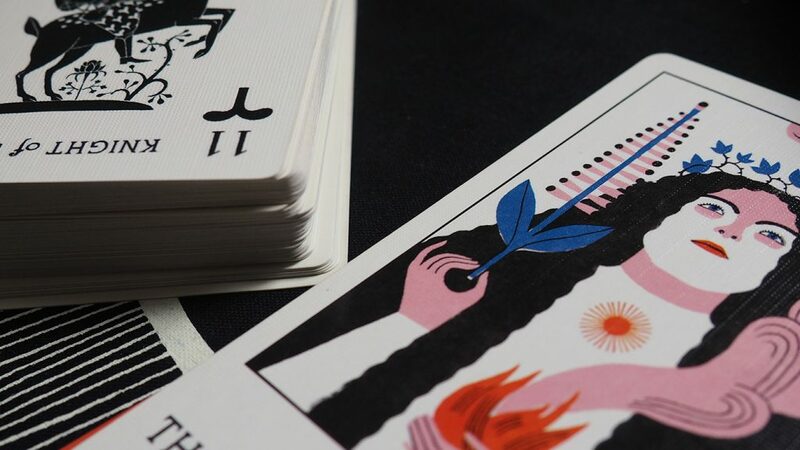 Two days ago, I launched the Kickstarter for a game I’m making with The Decemberists: ILLIMAT. 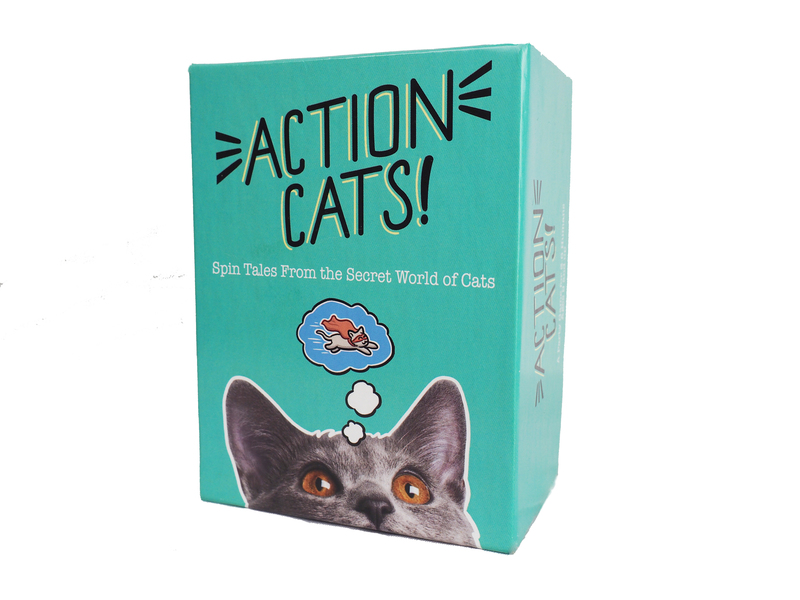 It’s a card game for 2-4 players, and you can play it in 15 minutes or an hour. 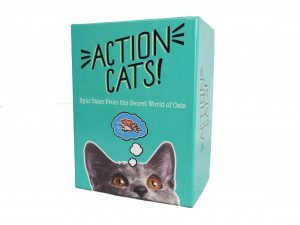 I could describe it in more detail, but you can go to the page and see it right now or if you’d like to see it played, you can watch this gameplay video from One Shot Game Night… or this detailed overview of the game from GeekDad. But what IS Illimat? Where did it come from? And what, exactly, do The Decemberists have to do with it? I got to know guitarist Chris Funk through Gloom, and he came to me with the idea of making this game. He and Colin Meloy dropped by my house and presented me with the following enigmatic artifact. … Felt like it could be an old game, something that might have been played a hundred years ago and just forgotten. … Didn’t actually depict the events of Hazards of Love, but somehow felt like a game that would be played in the world of HoL. 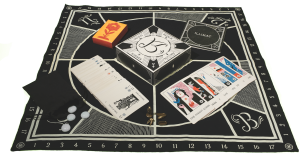 … Tying to the secret society vibe, something that felt mysterious and even “humorously obtuse” – while still being easy to learn and play. The board sat in my basement for a few months while I pondered this challenge. From a design perspective, there’s a bunch of basic challenges. The board is divided into four quadrants. Does each player use a different quadrant? Does each quadrant had a different effect? What’s the relevance of the numbers and symbols in the corners? Most of all: What about that second box that sits in the center? Why do you put a box in the middle of the board – and what can you do with it? One of the first things that struck me was that we wanted to make the box in the center the actual box for the game. The board was beautiful but also somewhat unwieldy – over time we came up with the idea of putting the design onto a cloth board that could fold up and fit into the central box. I’m very happy with the end result of this: the final game is very compact and transportable, but keeps the basic beauty of the design. Next, I started thinking about making something that felt as though it could have been “played a hundred years ago and then forgotten.” I picked up my 1875 copy of Hoyle and started looking at games I’d heard of but never played, like Whist and Bazique. 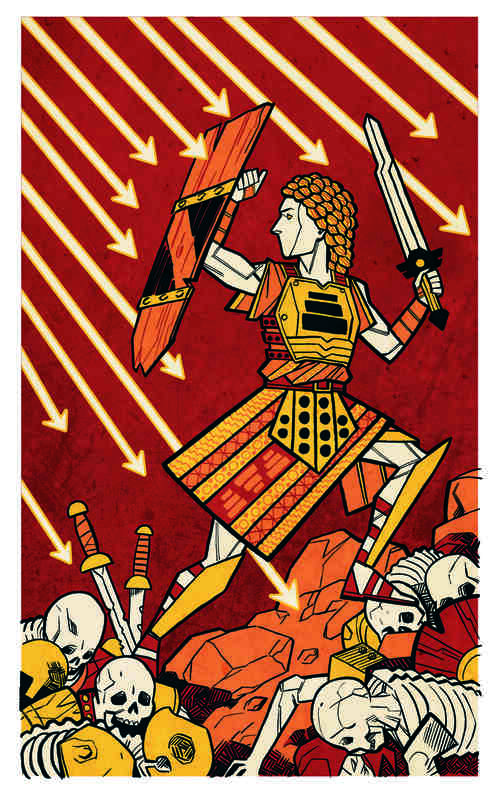 I was intrigued by the core mechanic used in Cassino and Scopa, and started experimenting with that. I decided to have each of the four quadrants of the board hold a different set of cards, but not to limit access to those fields to a specific player. This led to the next big jump: The idea that the box in the center would determine the rules that applied to each field… and that when the box turned, the rules would change. Meanwhile, we wanted something that wasn’t about Hazards of Love, but felt like it could be played in that world. 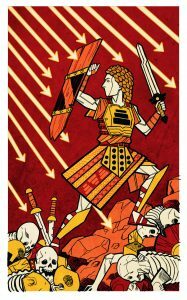 I wanted to make what essentially felt like a Tarot deck from another world. 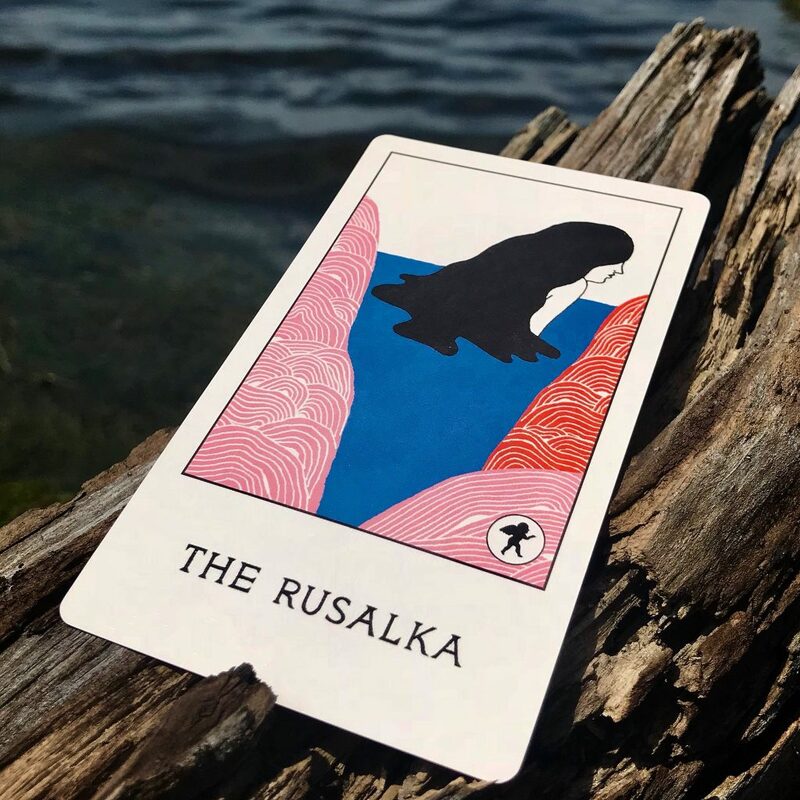 We set the suits of the cars to the seasons – Spring, Summer, Fall, Winter – and created a set of eight Luminaries – the Major Arcana of this deck – inspired by the iconic elements of Hazards of Love. Thus we have The Forest Queen, The Changeling and The River. 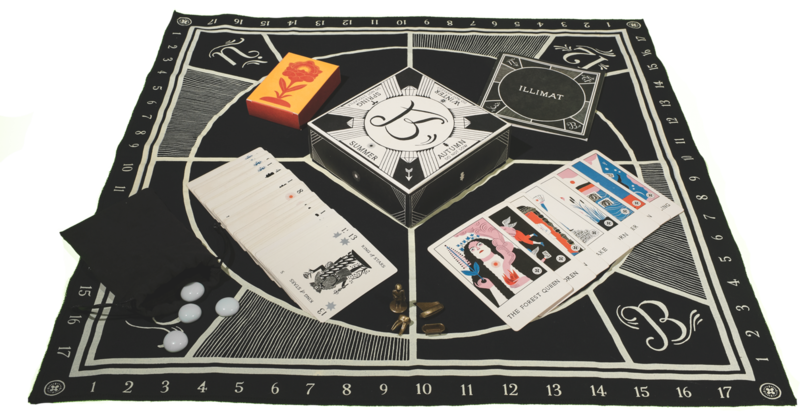 The central box – which had been named “the Illimat” in the original photoshoot – would set the season, and the season would restrict the actions. Anything is possible in Summer, but you can’t stockpile in Spring, sow in Autumn, or harvest in Winter. There’s many more details I’d like to delve into, especially the design of the Luminaries themselves, and I’ll get to those in future posts. But that’s how the story begins… and here’s the current image of the game as we envision it, in contrast to that original board in the picture above. Check out the Kickstarter if you have a moment! We’re off to a great start, but the journey is just beginning. If you have any questions, post them below!